Metabolic syndrome, characterised by insulin resistance, belly fat and low-grade inflammation, is a major clinical risk factor for heart disease and Type 2 diabetes. Diet has a great impact on the risk of chronic diseases and according to estimates, two-thirds of all chronic diseases are diet related. While following fad diets to achieve weight goals are counter-productive, with more than 90 per cent of people regaining their weight, adopting lifestyle changes and healthier eating habits is a long-term sustainable approach. Among the healthy diet approaches are the Nordic, the Mediterranean and the DASH (Dietary Approaches to Stop Hypertension) diets. The Nordic diet is very similar to the Mediterranean diet. The difference being the emphasis on Canola (rapeseed) oil in place of extra virgin olive oil. Rapeseed oil, with a high content of monounsaturated fatty acids (MUFA) along with anti-inflamatorry omega-3 fats, has similar favourable effects on serum lipo-protein profile as olive oil. 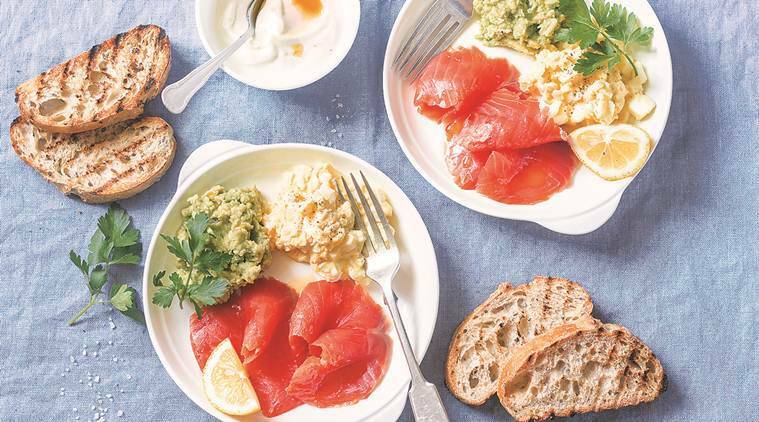 The diet’s staples include whole-grain cereals such as rye, barley, and oats; berries and other fruits; vegetables (especially cabbage and root vegetables like potatoes and carrots); fatty fish such as salmon, mackerel, and herring; and legumes (beans and peas). It is low in dairy and wheat. Eating lots of berries is another unique aspect of the Nordic diet that may account for some of its health benefits. Studies have reported that the Nordic diet lowers blood pressure and improves insulin sensitivity. THE NORDIET study published in the Journal of Internal Medicine in 2011 revealed that the Nordic diet improved blood lipid profiles and insulin sensitivity and lowered blood pressure and body weight in hyper-cholesterolemic subjects. Several studies have shown that the Nordic diet can cause weight loss and improve health markers. Harvard scientists have linked eating plentiful amounts of berries (such as blueberries and strawberries) to less weight gain and a lower risk of having a heart attack. This eating pattern is also supported by the fact that obesity rates in the Nordic countries are much lower than other developed countries. The Nordic Diet is in accordance with similar healthy diets, such as DASH and the Mediterranean. It is mainly a plant-based diet, where animal products are used sparingly as side dishes. It is higher in absolute intake of fruits, berries, vegetables, root vegetables, potatoes, legumes, vegetable fats and oils, fish and eggs, but lower in meat products, poultry, dairy products, sweets and desserts and alcoholic beverages. A diet that emphasises on fresh, seasonal and locally grown food instead of processed food is likely to lead to health improvements. Always remember that one size does not fit all. Diets need to be customised and individualised to suit oneself.